How Has Smartphone Technology Affected Mobile Gambling? The Rise in Mobile Gaming is a phrase which is often bandied about by technology writers and online Casino bloggers, but what does it mean in real terms? To answer that question, we at casinoapp.com have looked at the data and created an infographic to show you exactly what it means to be a mobile gambler in 2013. We’ve discovered that nearly half of all mobile gamblers only use their smartphones to access Casinos and place bets, and as such these gamers no longer bother with online Casinos or real-life Casinos and betting shops. This appears to reflect the notion that the advancements in mobile technology make gaming on your smartphone as good as at your computer. We can also reveal that, as you might have already guessed, gambling Apps and Mobile Casinos are a favourite among commuters; of the 5 Million mobile gamblers in the UK, nearly 1 in 4 plays whilst on public transport. Have you ever wondered what the average mobile gambler looks like? Close your eyes and see if you can conjure up an image now. If the person you pictured was male and aged 25-34 then you’re spot on, although the number of women gambling on their mobiles is increasing fairly rapidly, too. If you’re interested in the growth of the sector as a whole then you might be fascinated to learn that the industry is set to more than quintuple in size between 2011 and 2017, when it will reach an estimated $100 billion. From a user perspective players are often curious to know which operating system is the best for running online Casino and Sports Betting Apps, or which mobile browser best supports online Casinos. Conclusive new evidence suggests that Apple’s iOS is currently the most popular choice for mobile gambling at 47%, although Android isn’t far with 42% of mobile gamblers using an Android device. 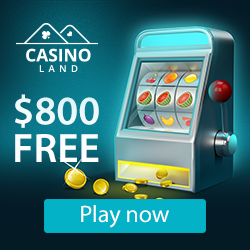 Check out the Infographic now for the full picture and feel free to share it amongst your friends and colleagues – just make sure to link back to casinoapp.com! Please include attribution to www.casinoapp.com with this graphic.